Tooth bonding is a modern technology coupled with modern dental composites and ceramics makes variety of conservative dental restorations possible. 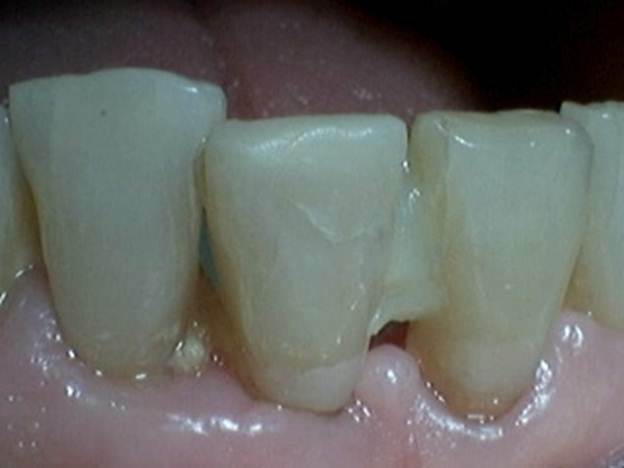 It puts a deeper meaning in the idea of Minimally Invasive Dentistry. Much less tooth reduction is necessary to achieve successful and long lasting aesthetic dental restoration. It must be said that case selection is critical for success of the “Maryland Bridge”. 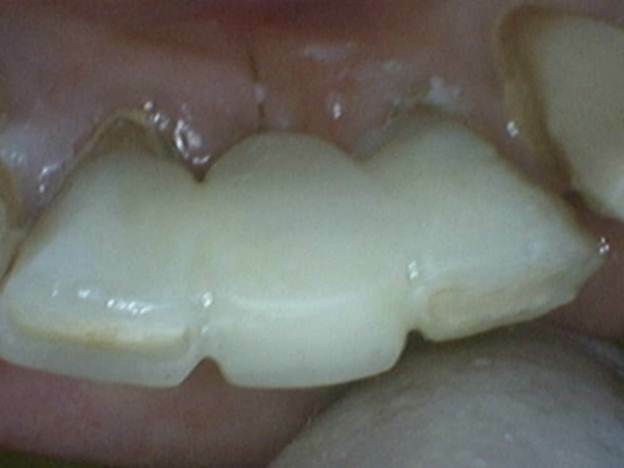 Patient presented with complain on loose and very unaesthetic lower anterior teeth. X-ray revealed large pathology around lower left central incisor. Tooth was failing and had to be extracted. 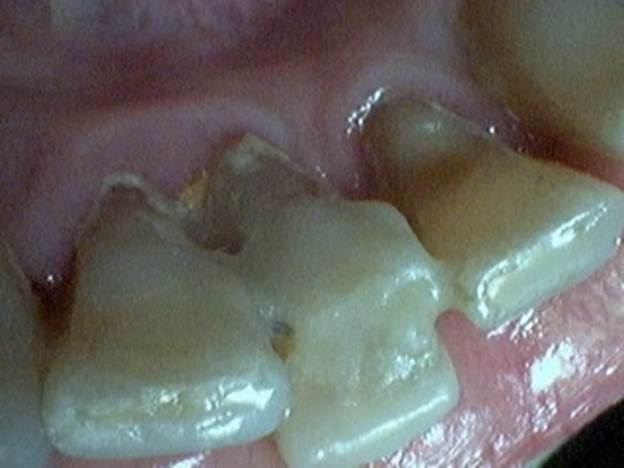 Because the tooth was located right in the front area, a solution had to be found how to immediately replace missing tooth right after extraction. Patient had to leave the country in several weeks and time was of the essence. It was recommended to fabricate a “Maryland Bridge” and to bond it immediately after extraction. 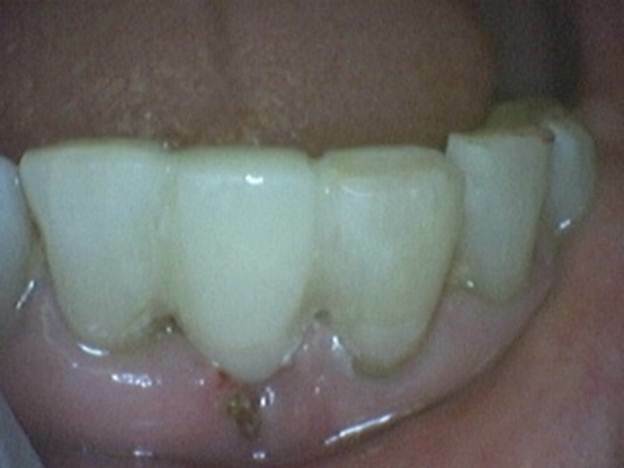 This type of dental restoration is called ‘Immediate”, because it is installed immediately after extraction. It requires high degree of accuracy. In order to stop bleeding tooth was extracted with minimum trauma and absorbable suture was placed. After bleeding was stopped, the “Maryland Bridge” was bonded with the use of special composite cement. Patient was very happy with result of the treatment and opportunity to walk out from the office with a secure and aesthetic restoration. Large pathology of lower anterior tooth.